Located on a beautiful, 200+ acre rural campus near Fort Wayne. 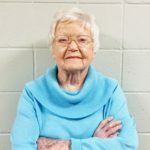 Our mission is to provide the best possible care inside a Christian environment – be it rehabilitation, independent living, assisted living, memory care or long-term healthcare. Learn more about all of our services. Offering an on-site golf course, heated indoor pool, fitness area, woodshop, and much more, our beautiful 200+ acre rural campus has something for everyone. Maintain or return to a fun, active and healthy lifestyle all while forming close, meaningful friendships with your fellow residents. Become a part of Heritage Pointe and discover why we believe It’s all About Living. At Heritage Pointe of Warren, residents may choose from independent living villas, duplexes and apartments, supportive living apartments, memory and rehab units and suites as well as full-service healthcare facilities. Schedule your walk-around tour today! 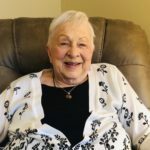 Led by our Christian faith, we founded our first community here in Warren over a century ago on the philosophy of helping seniors live life to its utmost potential. Today, as a not-for-profit organization, that same spirit guides everything we do at each of our three communities – Warren, Huntington and Fort Wayne. 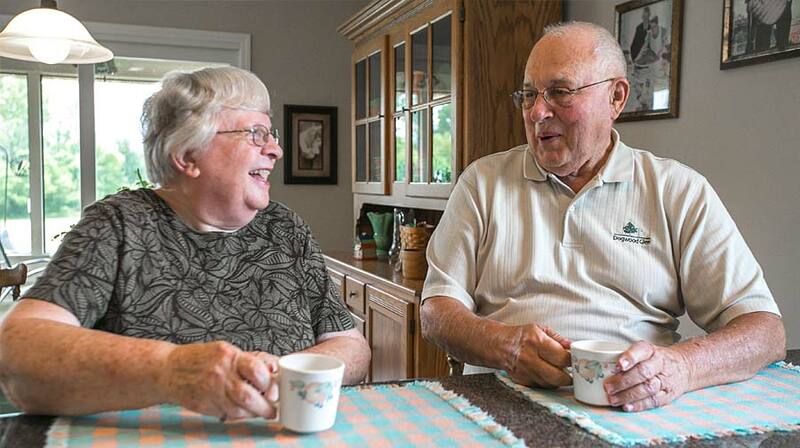 We believe retirement is all about living…and living life to the fullest. Working for Heritage Communities is a great choice. 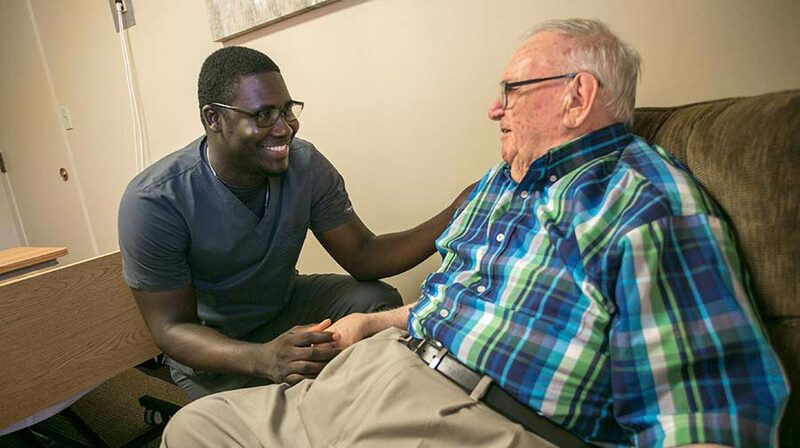 By joining our team, you’ll be helping our residents live the happy and healthy lifestyles they deserve. Apply today to become a part of our family with our dedicated mission to improving the lives of those we serve. Ann expressed, "It has been my desire for many years to live here someday. I have both worked here and been a patient, and I have observed the warmth and family atmosphere Heritage Pointe of Warren has to offer. The nursing care, therapy, cleaning staff and excellent meals are the reasons I would recommend Heritage Pointe of Warren." 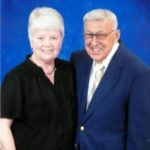 Towne Home resident, Jay Allen conveyed, "We chose Heritage Pointe of Warren for several reasons. The first is the fact that I was born and raised almost five miles directly west. The second is Dogwood Glen Golf Course where I have been a member for two years. The course is so well-managed and maintained, it far exceeds every course in the surrounding area; it is such a joy to play. The third reason is the informative approach by Dawn Shane, and the accommodations of the staff. Finally, we are thankful and give praise for such a comfortable, pleasant and safe residence which is the answer to our life concerns." 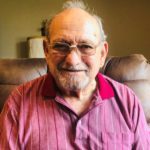 Zel shared, "I spent the past 24 years at Heritage Pointe of Warren, fourteen years in the Towne Homes, and now I'm on my tenth year in my apartment. I'm grateful for the kind, compassionate, and caring concern for each resident. I am thankful for my Heritage Pointe of Warren family!" 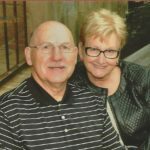 Sue shared, "Dave and I have lived at Heritage Pointe in Warren for almost two years, and the more we live here, the more we love it. 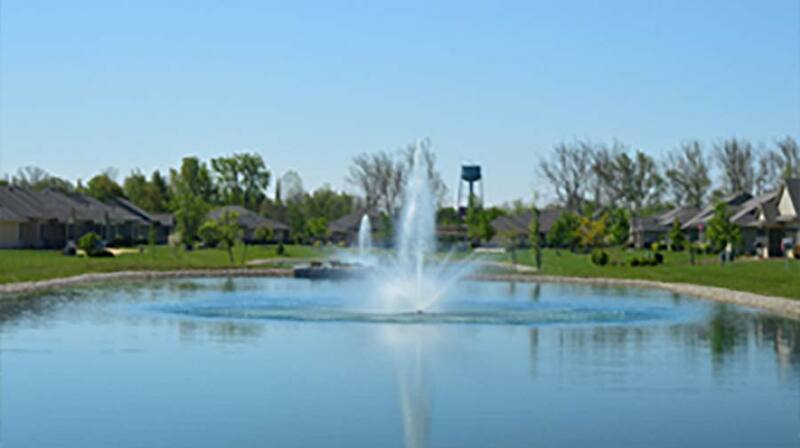 We would highly recommend Heritage Pointe of Warren for many reasons. We feel very safe here, the service is exceptional, and it is a very friendly community. We also find great comfort in knowing we will never have another home repair." 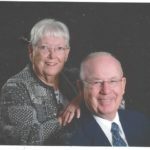 Jim and Sandy noted, "Heritage Pointe of Warren is a multi-faceted facility to serve those in the winter years of life. It offers a clean and friendly environment in all areas. It sits in a small town location which offers additional amenities nearby. We recommend it to others." Marion voiced, "My mother lived here for 18 years, so I had a feel for how nice it was prior to moving here. There are plenty of activities to choose from if you want to stay active. The food is good, and I appreciate the cleanliness. I love my apartment at Heritage Pointe of Warren."